The unrestricted free agent forward has agreed to a one-year deal, according to a person with knowledge of the agreement who spoke on condition of anonymity because it remains unsigned. Neto averaged 4.5 points and 1.8 assists per game last season for Utah, which is still seeking a deal with its third in-house free agent – Dante Exum. For his career, Evans has averaged 16.5 points in stints with Sacramento, New Orleans and the Grizzlies. He also had meetings with Golden State and Oklahoma City, among others, before choosing the Pacers. 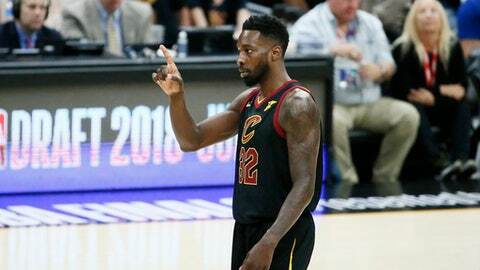 Green, who turns 32 in August, spent last season with the Eastern Conference champion Cleveland Cavaliers. He has played 10 NBA seasons with six teams, averaging 13.2 points and 4.6 rebounds.